Ok, I’ve got a confession to make. I have not been wearing a lot of clothes lately. I mean, I’m wearing fabric on my body, but none of it resembles a well pulled together outfit that’s for certain. Instead, I’ve been staying inside trying to stay warm by laying in the slices of sunlight drenching my sofa with my cat and dog. 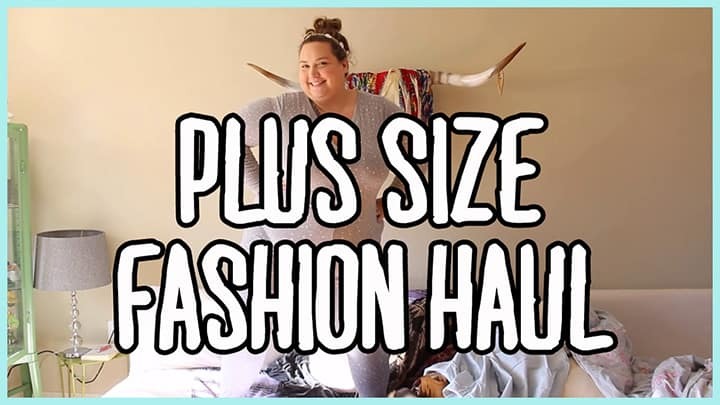 So how does one run her little plus size fashion blog when she’s just wearing jamjams and laying around her house? 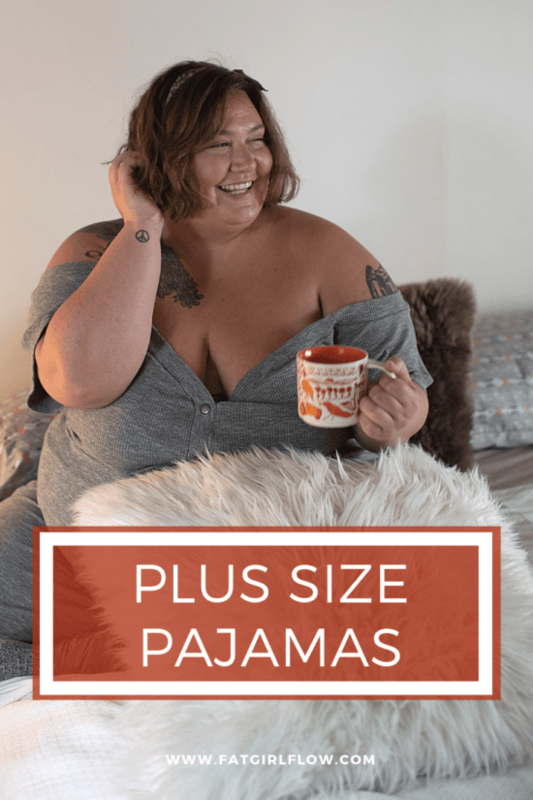 Make a plus size pajama guide obviously! These are the beautiful cozy sets that I’ve been swooning over lately. Happy winter, stay warm babes!! Ya’ll. It comes in a dog version. A DOG VERSION. You kids, your partner, YOUR DOG. This is gosh darn holiday fun for the whole fam! These go up to 3x and have a range of sizes for the whole family. 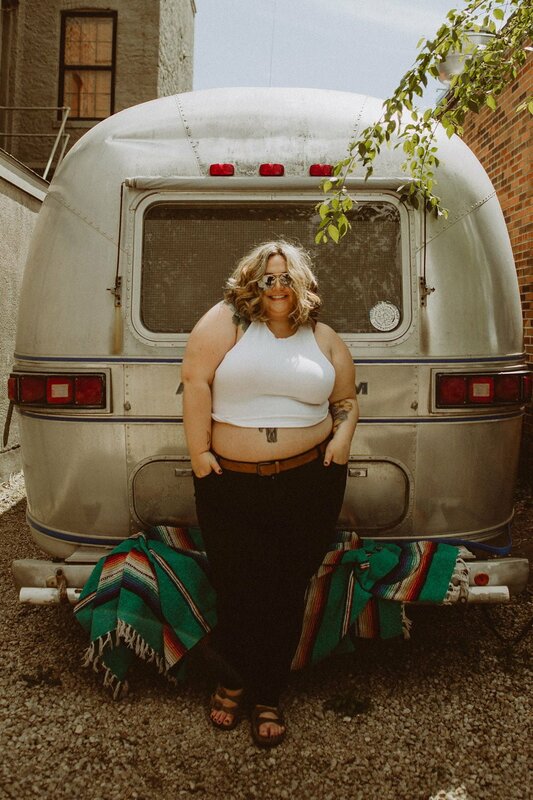 Soncy is a new plus size store that’s bringing some of the cutest looks for fall – including this awesome plus size onesie! This onesie is what I am wearing in the feature image for this post and it’s one of my go-to faves for chilly Winter days. 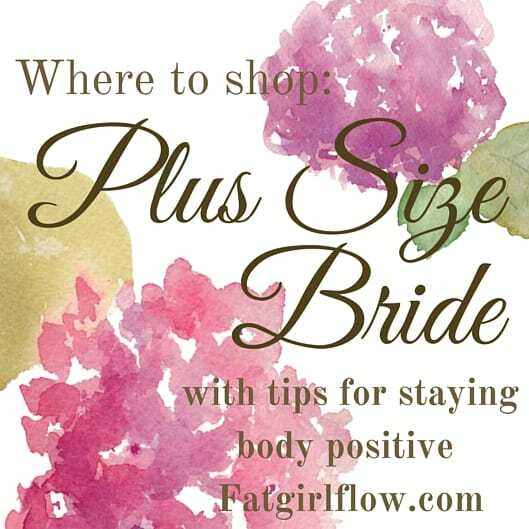 Up to size 6 (30), you can use code FATGIRLFLOW at checkout for $$$ off! This is the perfect simple set for cold nights. 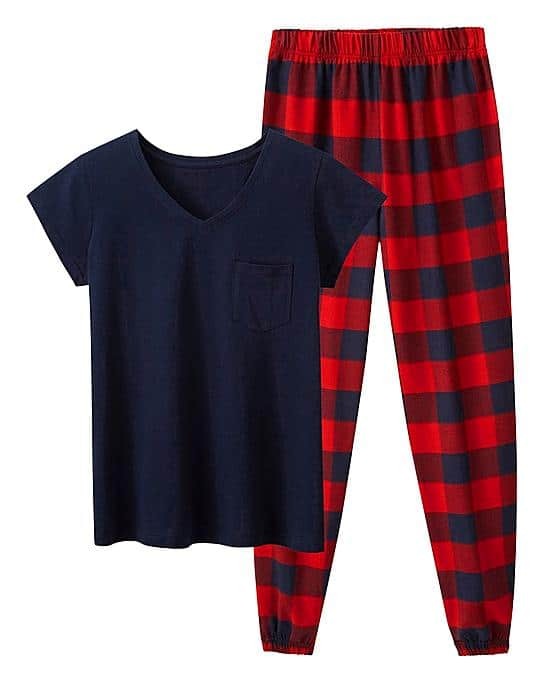 Flannel pants, soft tee. And it goes up to size 30! When I was a kid I thought that long johns were the worst thing to ever happen. They screamed “my mom is controlling what I’m wearing!!!”. These days, I love thinking about my momma buying me something to keep me nice and toasty. Thermal jammies forever. If you’re not into pants (like myself) a flannel night shirt is the best way to get snuggly without that bottom half restriction!!! Throw some cozy socks on and you’re all set! Are you just dying to get cozy now? I AM! I’m getting onesies for my bridal party and two of my girls are plus size. I’m having a difficult time trying to find anyone that goes over XL in size, and the one in your post are now out of stock. Do you have any suggestions on brands I can try? I’m not familiar and found your post in my google search. Thank you! I am dying for a comfortable, warm, fleece onesie. I feel like fate lead me here. My name is Carissa, I’m also blonde, and I feel like we have similar body types! It’s so eerie!!! I looked at simplybe, but they only have two onsies and one of them is a tank top, and the other is just flannel. Can you suggest anywhere to find one in fleece? Maybe even kigurumi type onesies that might fit? Bonus points it they are footie pajamas! I purchased mine ( nightmare before christmas ) at Torrid. Size 3/4 – they run toward the larger size. Just type in onesie. All I Want For Christmas is classic, long sleeve, button-down, two-piece silk (not satin or sateen) pajamas in black, dark grey, navy with ivory piping, or red. When? I have been looking for something like this over a 3x for FOREVER.